For those women in Fort Lauderdale and Broward County who wish to enhance the appearance of their lips, please contact the Weston Center for Plastic Surgery today, as we are one of the few offices in Broward County selected to be among the first to have Juvéderm® Volbella® available for our patients! Contact us now to schedule your consultation with Nathan Eberle, M.D., D.D.S., to determine if Volbella® is right for you. It’s fair to say that you’ll be ecstatic with the results you’ll get in your lips from having Juvéderm® Volbella® injections. Volbella® subtly reshapes and redefines your lips and facial contours and adds definition to your mouth and the outline of your face. Juvéderm® Volbella® with Lidocaine is the latest advancement in the Juvéderm® range of facial fillers, developed specifically for your lips and mouth area. It is a smooth gel that is injected using an ultra-fine needle, and it has been specifically developed as an ultra-smooth gel to give your lips a soft, natural feel. The gel fills in lip lines and wrinkles while the hyaluronic acid within attracts and retains moisture, so your results can last for up to a full year. If you want to define your lip shape and ease away lines from around your mouth , then the benefits of Juvéderm® Volbella® may be just right for you, so you can enjoy improved confidence, self-esteem, and a more youthful appearance. 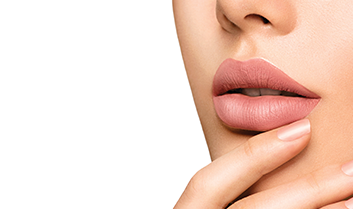 A recent study showed that 98% of those who had lipfiller treatment with Juvéderm® Volbella® reported that their lip appearance goals have been achieved, so schedule your consultation today! IS JUVÉDERM® VOLBELLA® RIGHT FOR ME? If you’re looking for a solution to effectively increase your lip fullness and to soften the appearance of lines around your mouth for a full year, then Juvéderm® Volbella® may be right for you. Juvéderm® Volbella® can give your lips a smooth and subtle enhancement that will be both eye-catching and natural looking, and since Weston Plastic Surgery is one of the few providers in Broward County to be selected for making this treatment available, there really is no reason to wait any longer. Contact us today to set up your consultation. HOW INVOLVED IS THE JUVÉDERM® VOLBELLA® PROCEDURE? The smooth consistency of the products in Juvéderm® Volbella® lets us administer Volbella® easily and smoothly. Volbella® also contains 0.3% Lidocaine to reduce injection pain for a more comfortable experience. The injection process can be performed in our Weston office and takes just a few minutes. No anesthesia is required, though a topical numbing cream may be applied if desired. A thin needle is used to inject the Juvéderm® Volbella® solution directly into the targeted area of your lips and face. HOW LONG IS THE RECOVERY AFTER JUVÉDERM® VOLBELLA®? There is no downtime or recovery period, and we will advise you on your aftercare process. You may be advised to stop wearing makeup for up to 12 hours. You may also be told to avoid the sun, as well as saunas and steam rooms, for 2 weeks. Some people experience a little temporary tenderness, swelling or bruising around the injection sites, but this goes away quickly, and you can return to work and other normal daily activities immediately. The results of your treatment should become visible within 14 days and remain visible for up to one year. HOW MUCH DOES JUVÉDERM® VOLBELLA® COST? Costs associated with Juvéderm® Volbella® vary by patient. We offer financing. If you live in Fort Lauderdale or Broward County and are looking for a fast, minimally invasive treatment to improve and enhance the appearance of your lips, then Juvéderm® Volbella® may be right for you. Contact the Weston Center for Plastic Surgery today for your consultation, as we are one of the only exclusive providers of Juvéderm® Volbella® in Broward County, so please contact us today to set up your appointment with Nathan Eberle, MD, DDS.